Hi Everyone! 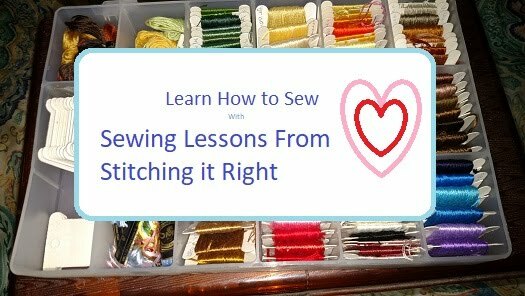 I launched my Sewing Lessons From Stitching it Right Video Tutorial YouTube channel today, and I'm so excited to share the first mini-episode here! Episode 1: Welcome to Sewing Lessons From Stitching it Right! Episode 2 of Sewing Lessons From Stitching it Right gives you a quick (under a minute) review of some hand sewing supplies to get started on quick mends and learning to sew by hand. This episode of Sewing Lessons From Stitching it Right guides the viewer through some of the basic features of a household sewing machine. The purpose is to help beginners get ready to sew with confidence on a sewing machine. This episode of Sewing Lessons From Stitching it Right shows you how to reattach a button that has fallen off of a garment. Being able to sew on a button si a useful life skill for mending garments or for making your own sewn creations.